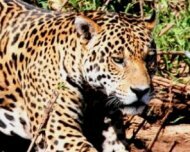 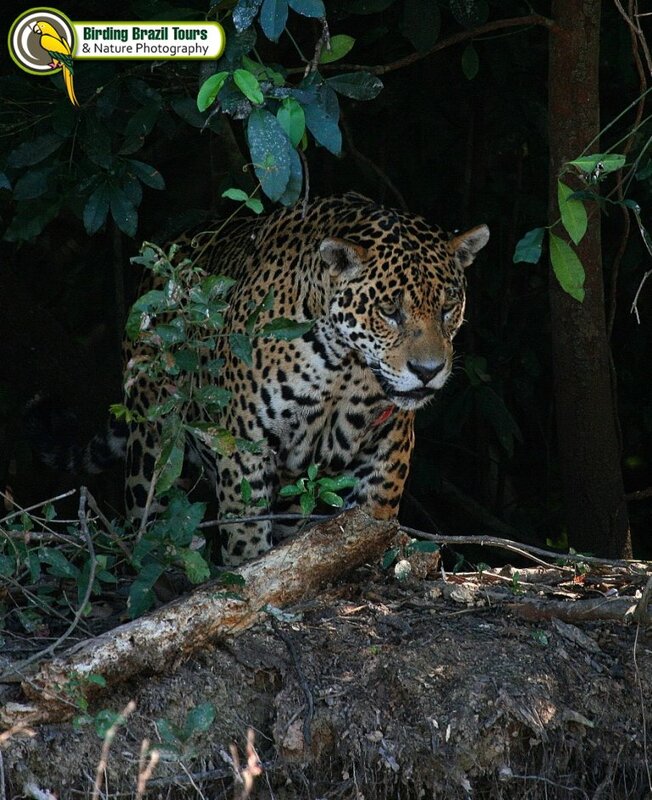 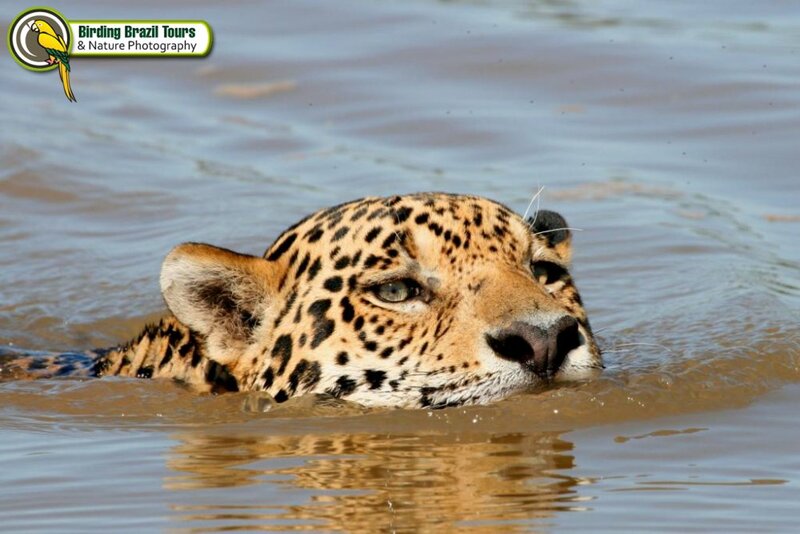 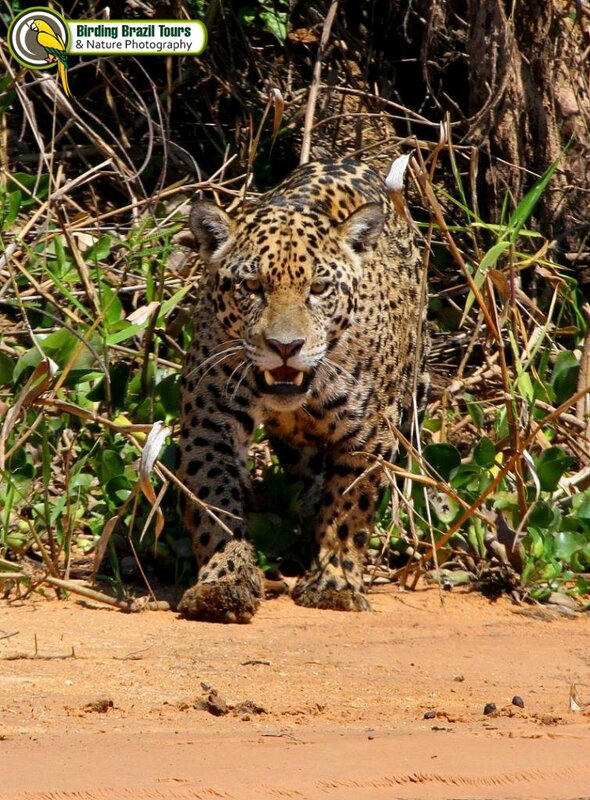 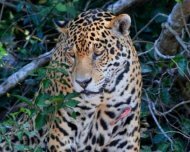 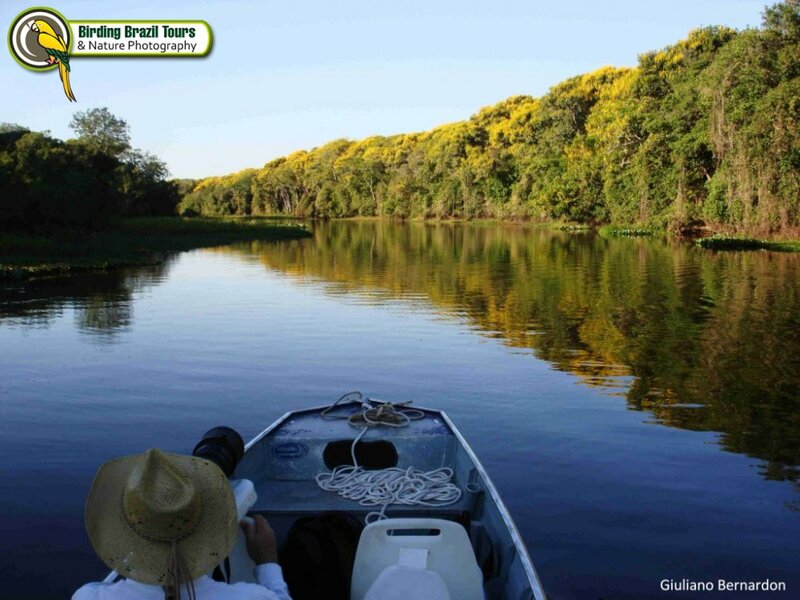 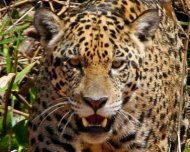 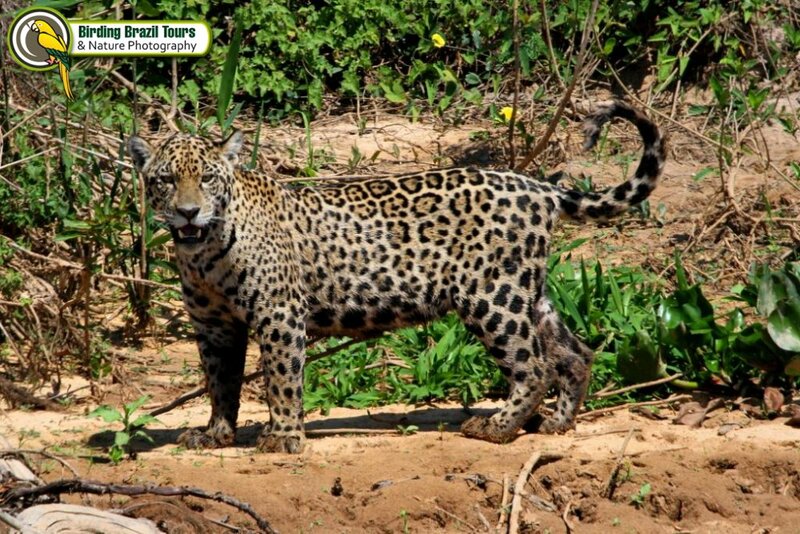 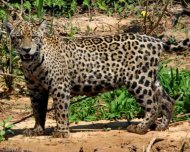 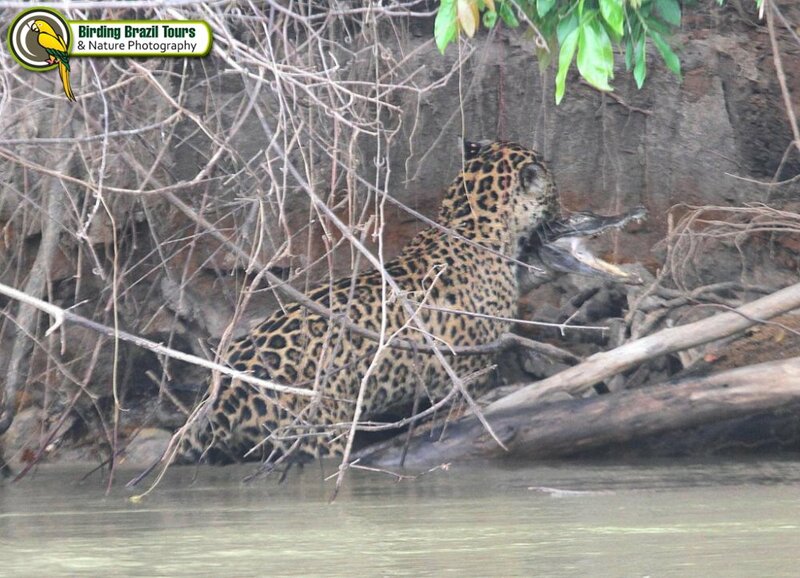 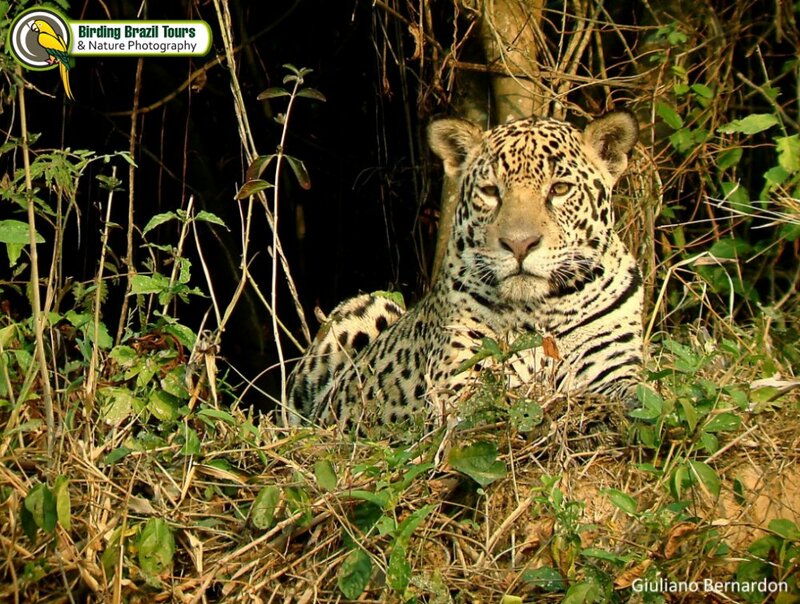 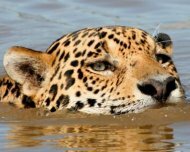 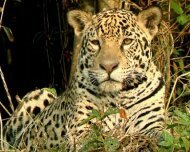 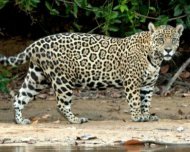 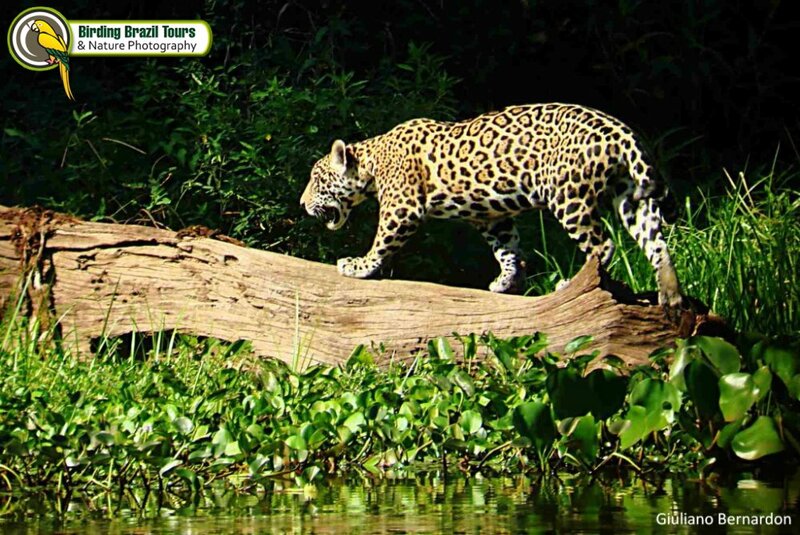 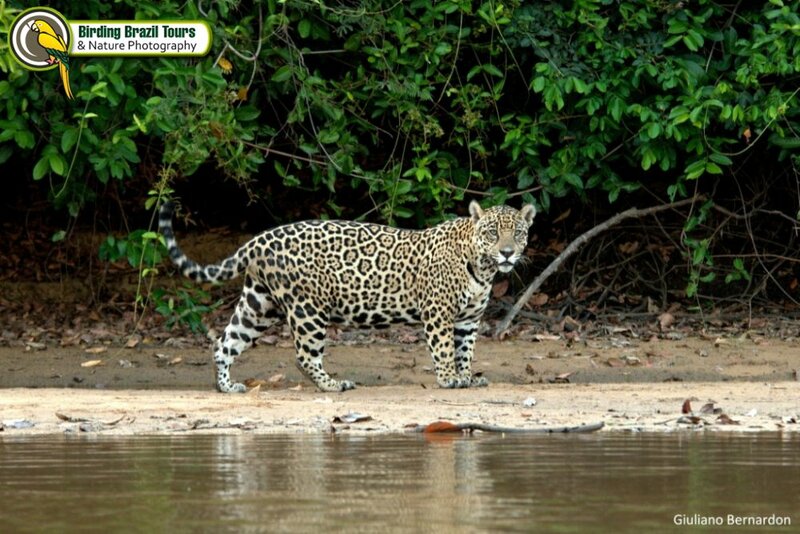 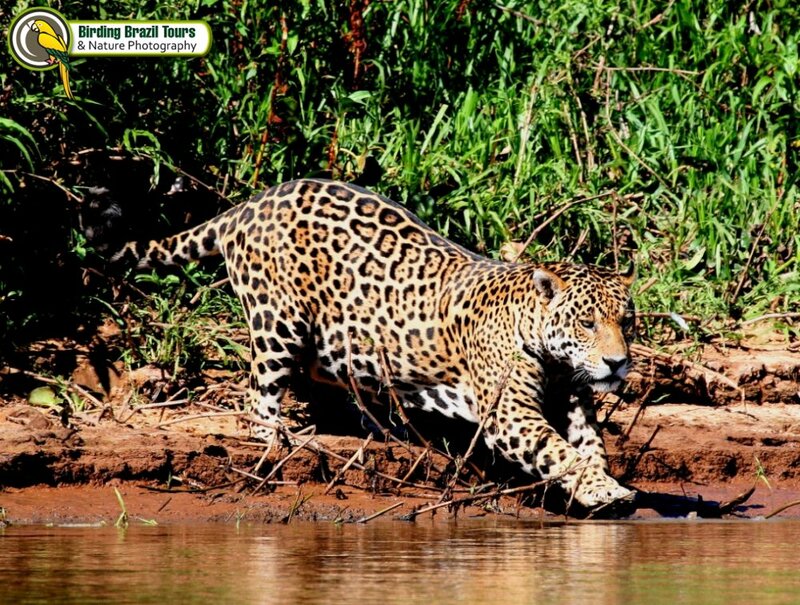 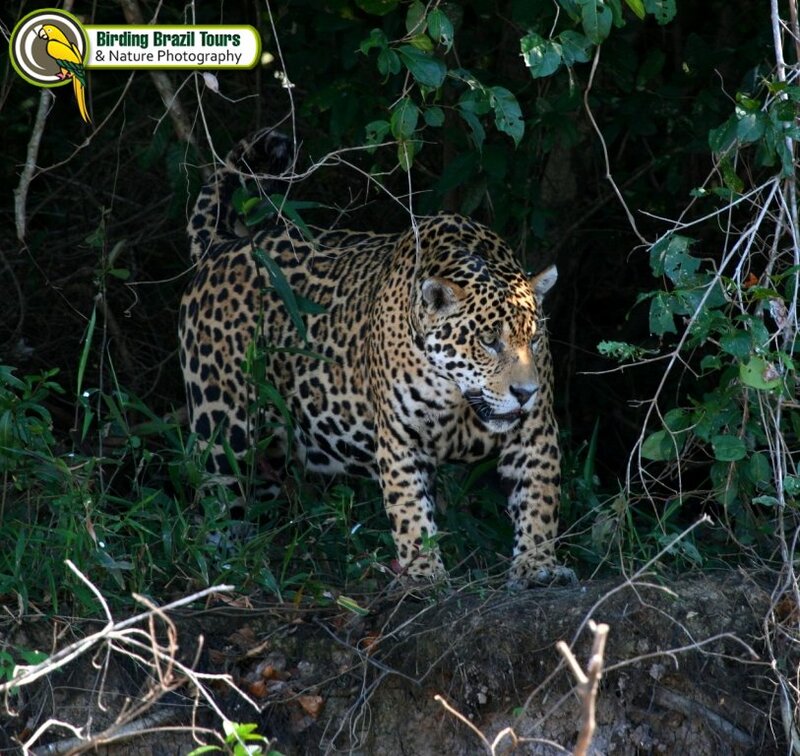 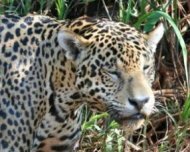 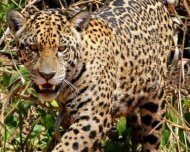 Pantanal is famous for its stunning wildlife and photographic opportunities. 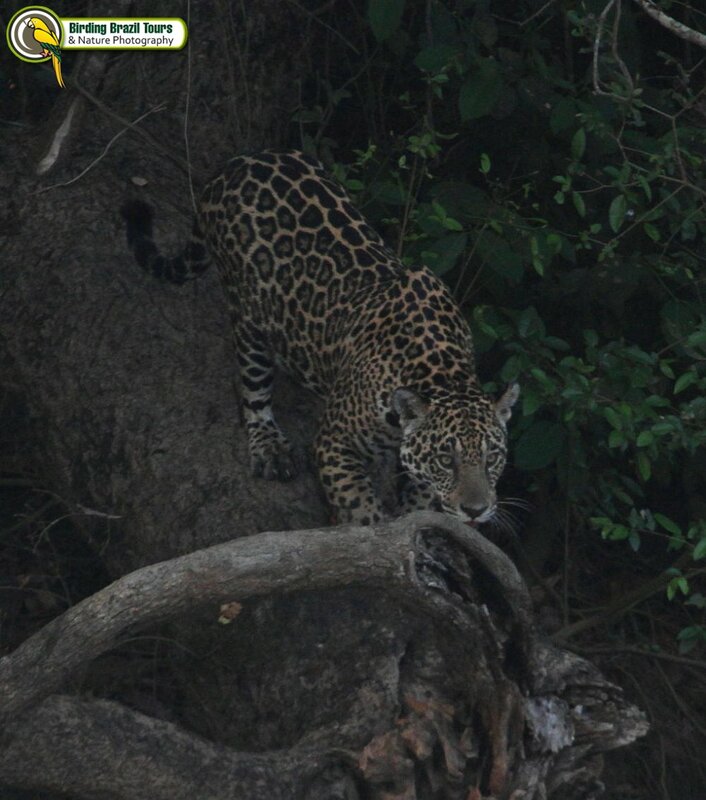 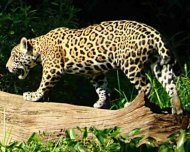 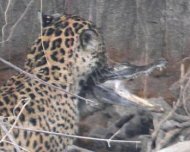 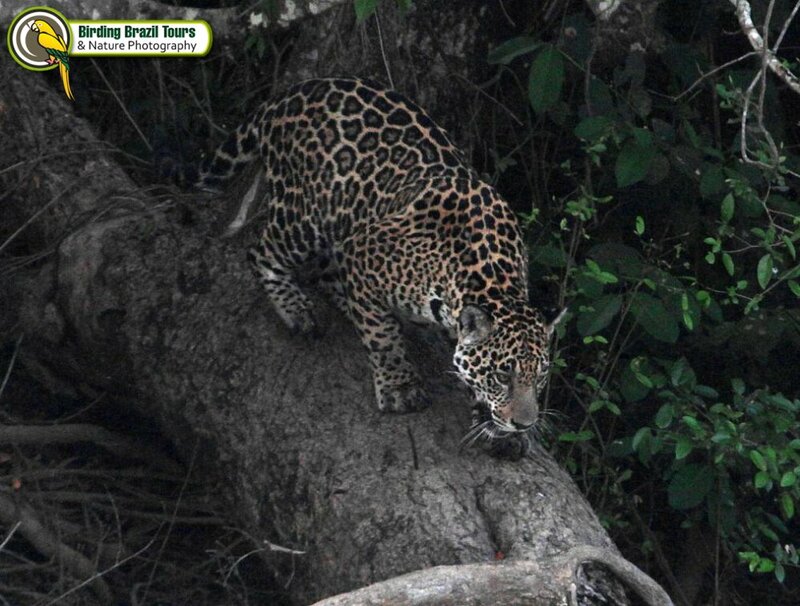 And furthermore is home to the highest density of Jaguars in the world! 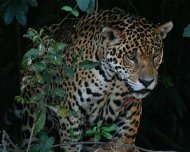 The Panthera onca paulustris is the largest of all nine subespecies. 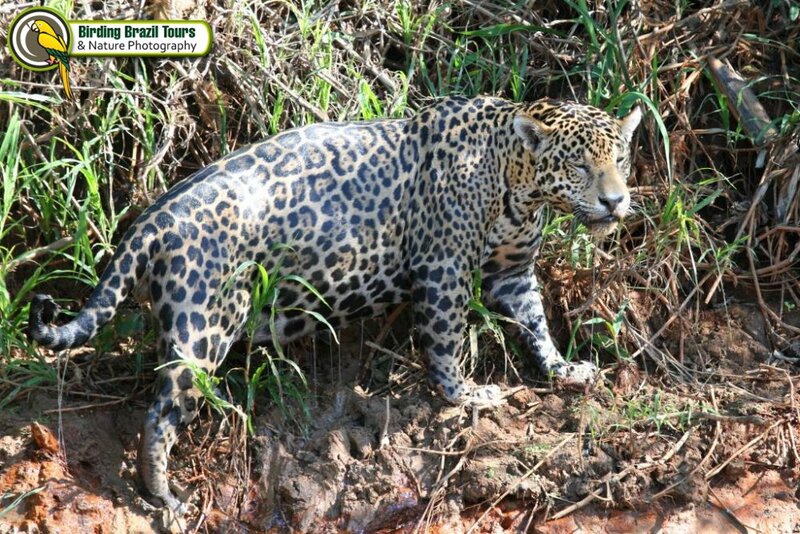 Massive males weight 347 lbs (158 kg), same weight as a female lion or tiger. 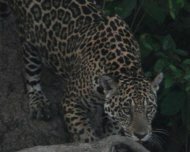 Here jaguars have lost their fear of humans and provide a unique experience of easy sightings and great photo opportunities. 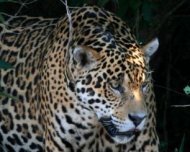 Combined with the Jaguar, other Pantanal and Chapada dos Guimarães possibilities are the Capybara, Crab-eating Raccoon, South-American Coati, Southern Tamandua, Giant Anteater, Black Howler Monkey, Black-striped Capuchin, Crab-eating Fox, Ocelot, Marsh Deer, Giant Otter, Brazilian Tapir and a bunch of endemic birds! 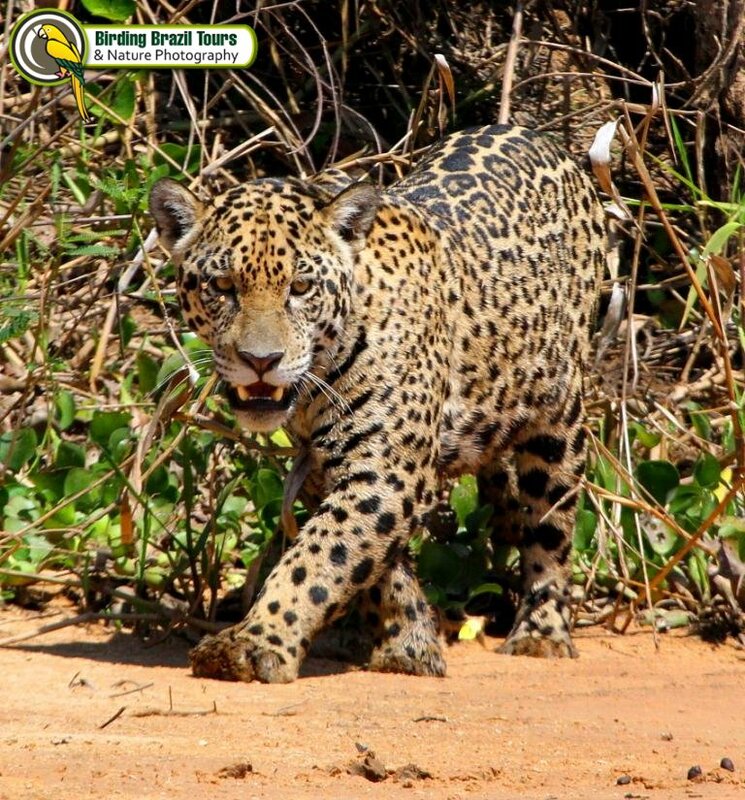 Join this special itinerary made for you. 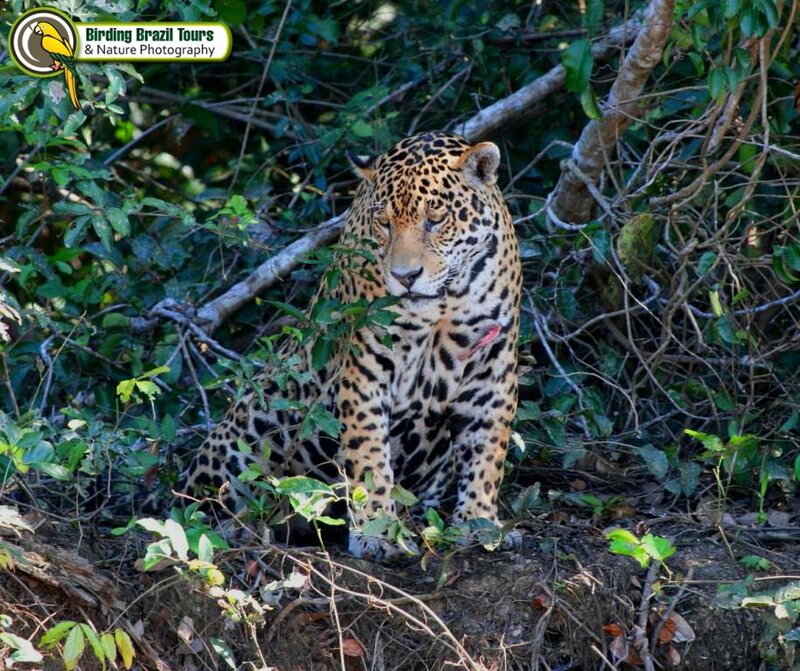 Request a copy by info@birdingbraziltours.com. 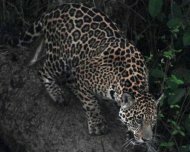 Photos by Andrew Whittaker, except when mentioned other author.